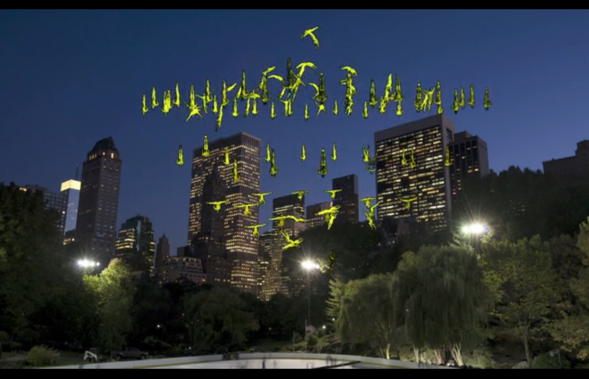 A hundred dancers will hover 150 feet above Central Park in six inverted catenary structures in "ONE," a new performance coming to New York this fall. 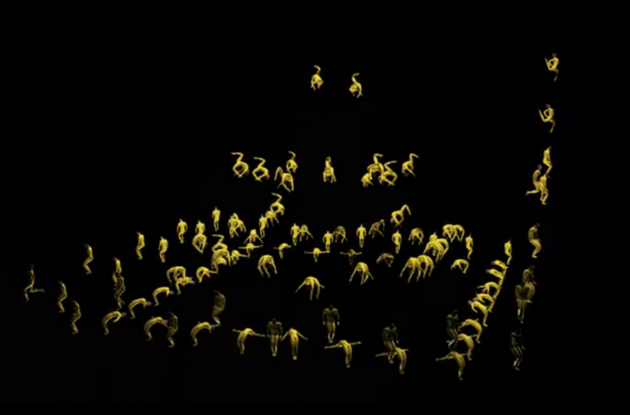 Aly Rose conceived and choreographed the performance, which is described as a 3D moving sculpture, aiming to "[challenge] traditional ideas of performance space." With "ONE," Rose will use the cultural hotbed of New York City as her stage, choreographing artists from from United States, China, Canada, Qatar, Dubai, Mexico, the UK, Australia and France to move as a single shape. In an email to the Huffington Post, Rose explained the evolution of the project. "For seven years I heard, “It will never happen. How ridiculous! Why can’t you do something more practical? No city is going to let that be built. Too expensive. What is the purpose?” The challenge is to overcome the discouragement, the every no, and not give up. The challenge has been to inspire those who doubt, those who fear, and those who laugh at you for all these years." Beijing-based choreographer Wang Mei says of the upcoming performance: "When all those souls are in the sky, it is as if we are transported to another dimension. When a human being needs to transcend and be uplifted and forget all our troubles we must have a place like this to go." Did we mention it's free? The unprecedented performance will run for twice a day from October 2 to October 13, high above Central Park's Wollman Rink. However, if you can't make it to New York, don't fret; each performance will be webcast to a whopping 53 million viewers. Rose is trying to raise $100,000 on Kickstarter by July 8 in order to help fund the project. Visit the "ONE" Kickstarter page to learn more, and check out some image stills from the video below.